Christie-Adam is a full service salon and spa located in Northern Virginia. Our experienced team is fully trained and always professional. Our high quality services include haircuts and styling, hair color, skincare, make-up, nails and massage. We also offer Botox and Restylane, laser hair removal and permanent make-up. We use only the highest quality products for hair, nails, makeup and skincare. 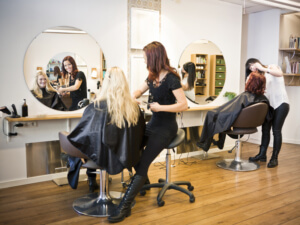 Our salon is committed to providing exceptional service while helping our clients feel more confident and relaxed. Christie-Adam Salon offers quality haircuts, color, highlighting and styling. Our experienced stylists receive continual education to ensure that they are up-to-date on the most current trends and styles. We offer a variety of hair services for men, women and children including professional styling for weddings and special events. Christie-Adam Salon offers a wide variety of skincare services specially designed to help our guests achieve the outstanding results they’ve always dreamed of. Our master estheticians specialize in all types of facials. Prior to a facial service, our skincare team will analyze your skin to determine the most appropriate services for your skin type. In addition to quality facials, our skincare team offers eye treatments, waxing services, eyebrow and eyelash tinting and expert makeup application. Our professional estheticians are trained experts in Jane Iredale mineral makeup application. Specialty makeup services include express makeup, full-face makeup and special event/bridal makeup. Our expert nail technicians offer quality nail services including specialty manicures and pedicures in addition to gel, acrylic and paraffin wax treatments. To ensure our clients leave the salon with the best quality polish, we proudly offer world-renowned OPI brand nail polish. Christie-Adam Salon and Spa offers both Swedish and Deep Tissue massage. Our professional massage therapists are fully trained to maximize comfort. 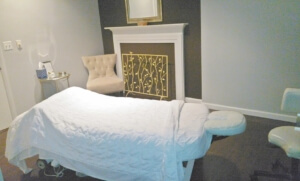 Massages are performed in private rooms, specially designed to ensure a relaxing experience. Stop by to see why Christie-Adam Salon is Northern Virginia’s premier hair salon and spa. We look forward to seeing you.